CREP is a voluntary program utilizing federal and state resources to achieve long-term protection of environmentally sensitive cropland and marginal pastureland. These voluntary protection measures are accomplished through 10-, 15-, 30-year and permanent conservation easements. Landowners in the approved watersheds are eligible for CREP. Currently, that includes 76 counties in North Carolina. To be eligible, cropland must meet cropping history criteria and be able to sustain cropping as of the landowner’s program enrollment date. Marginal pastureland may be enrolled provided it is suitable for use as a riparian buffer. As water quality becomes a bigger environmental issue, this program improves and protects water quality while restoring and enhancing riparian habitat corridors next to stream, drainage ditches, estuaries, wetlands and other watercourses. In addition, this program provides a mechanism to help farmers comply with the Neuse and Tar-Pamlico Nutrient Reduction Rules and potential regulations or goals in other watersheds. CREP encourages farmers to place environmentally sensitive land near streams or other approved water bodies into a vegetative cover for a period of time. In return, landowners receive annual payments and are reimbursed for establishing the conservation practices. Landowners choosing to enroll in a 30-year or permanent easement will also receive a one-time state incentive payment and may also be eligible to receive a tax incentive. What is a CREP conservation easement? 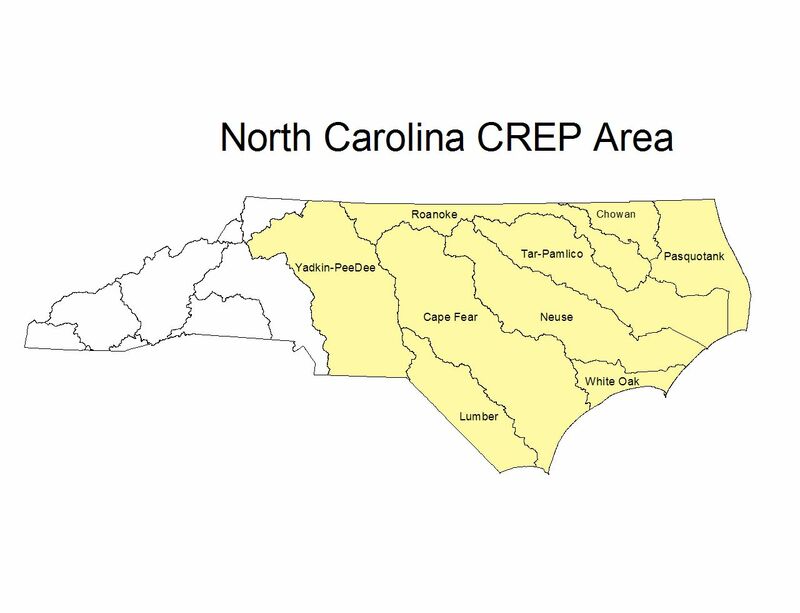 A CREP conservation easement is a written agreement between a landowner and the state of North Carolina in which there is an acquired interest in the land to install conservation practices that protect natural resources. The conservation easement exists for 10-, 15-, 30 years or permanently, depending on the landowner’s choice. With CREP, the landowner voluntarily limits future use of the land for activities such as crop farming and development, yet retains private ownership.